Today marks the first day of a long journey which myself and my wife have been planning for around a decade now. What's that? I hear you asking. Well, to put it simply, we've gone all in and purchased a little bungalow in the middle of the countryside away from the city lights. 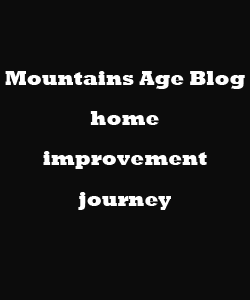 Granted, it's a bit run down and will need extensive renovation work carried out on it, but that's the whole point of this blog. We shall be providing home improvement guides for you to use as we go about putting the pieces of our dream home together. To give readers the full picture, I am planning to spend months and months completely overhauling the design and layout of the kitchen, lounge, back yard, bathroom, and its two bedrooms. Alongside that, there is a need to re-wire the electrics. So we've got quite a lot to keep us busy, but it will enable us to bring our vision of a family home to life. As someone who has spent the past seven years training as a plumber and handyman, some of these tasks are simple. But for some of the more difficult stuff, I'll be consulting well known D.I.Y resources like the DIY network. By using there guides and interacting with communities online, I hope to get a full understanding of things I'm doing wrong, as well as ideas and inspiration. I'll be highlighting the areas that we're working on in more detail below. First up, the bathroom. This will prove quite tricky. The shower area, drainage system, and fixtures aren't fit for purpose, and shall be removed. Then there is the old fashioned sink and faucets that will need to be either replaced or upgraded. But the main focus shall be comparing toilets on Thetoiletthrone.com to ensure I get a model that has a powerful flushing mechanism. This won't be easy as there is so many styles. However, I'm considering a dual flushing toilet as it tends to be more flexible for a busier household. Water usage will vary which makes them a economically friendly option. Next on the list is the living area or lounge. This is the place me and my family shall be spending most of our time whilst at home. So we want to make sure that it lives up to our expectations. What we do know is the room is quite spacious, with floor space to put down a number of chairs and sofas should we wish to. It doesn't currently have a carpet either, which is something that is being fitted. There is a slight issue with the heating in this room, which we will be aiming to remedy by insulating the walls and instaling a good wood stove. As they can be expensive, we will be using warm home guide for log stove ratings. Next up, the bedroom. This is arguably the most run down part of the home, and we will almost certainly need to tear up the flooring, put up some wallpaper and add a lick of paint here an there. We are having a small extension built onto it too with the view to creating an en suite bathroom. So that's the interior tasks. No doubt that alone will keep us busy for many months. However, the exterior will require quite a bit of work too. Not just the back yard, but the driveway too. Small matters like trimming back trees can be fixed using a durable, top rated pole saw listed on polesawpicks.com. But the heavier work such as relaying and digging up tarmac is going to set us back quite a bit in terms of hiring tools etc. To help me get this work underway, two close family friends will lend a helping hand. They are both experienced in their fields of work and will certainly help me out in areas I don't have the expertise. As time goes by, and rooms start to take shape, we aim to show our readers before and after pictures, as well as prograss pictures with step by step guides for beginners. The materials used, plus man hours expected is going to set us back around thirty thousand dollars, which we think we will look back on as being quite cheap upon completion. However, shopping around for the right price will be essential to ensuring we don't overspend our budget. Over time, this will become a website which you can visit for important building advice, be it plumbing, yard maintenance, roofing, tiling, or otherwise.